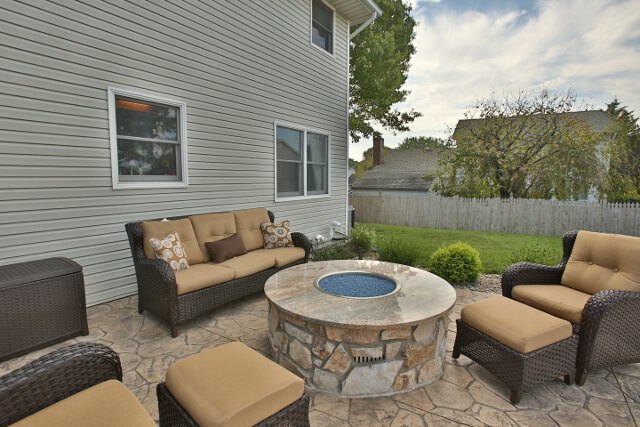 Fire pits are an excellent feature to use in the backyard design. 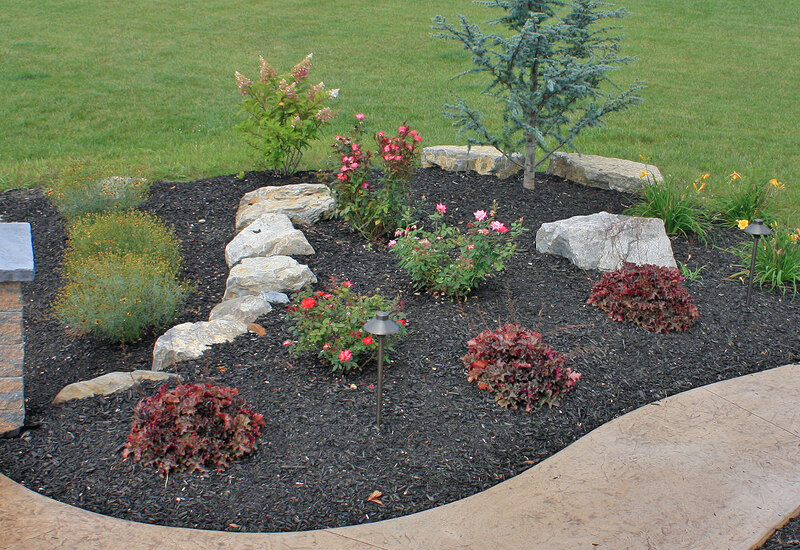 In fact, they are one of the most widely used outdoor features being installed in backyards across the United States for the last several years. This trendy outdoor feature is not only inexpensive compared to other features but can be a great do-it-yourself project if you have the time. Please note that there are steel framed fire pits and pre-fabricated fire pits that most of the box stores and online stores sell now. For this article below, I am referring to fire pits that are constructed on site. Those pre-fabricated fire pits will be significantly less money; however, they tend to rust and “fall apart” more and more, season after season. When designing a fire pit into your backyard, the main considerations are to keep a safe distance from the house and to place it in an area away from anything that is flammable or anything that can catch on fire. 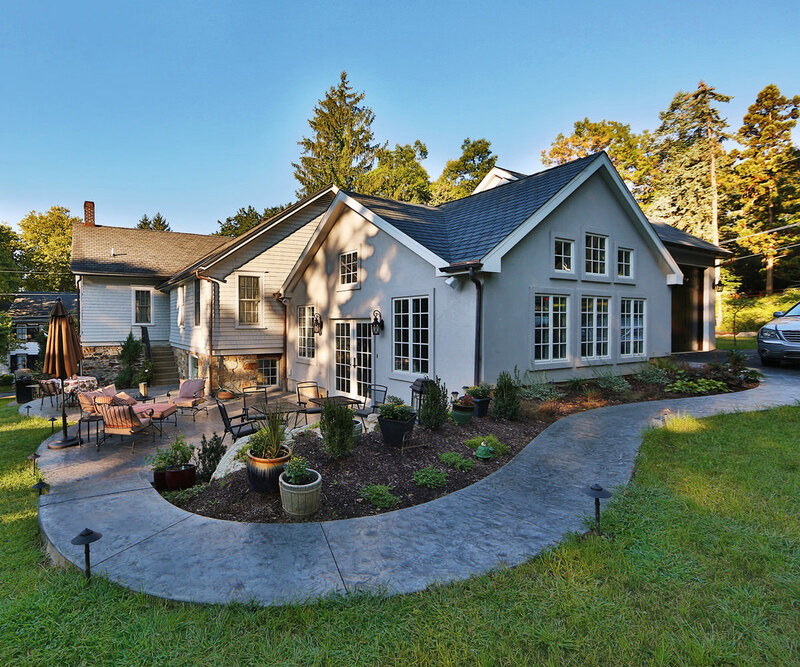 Usually, most municipalities will require a fire pit to be installed a certain distance from the house, generally it is 10 feet but that number does vary between municipalities. Fire pits can be constructed using either a fake or real stone applied with mortar or they can be installed using colored concrete block. 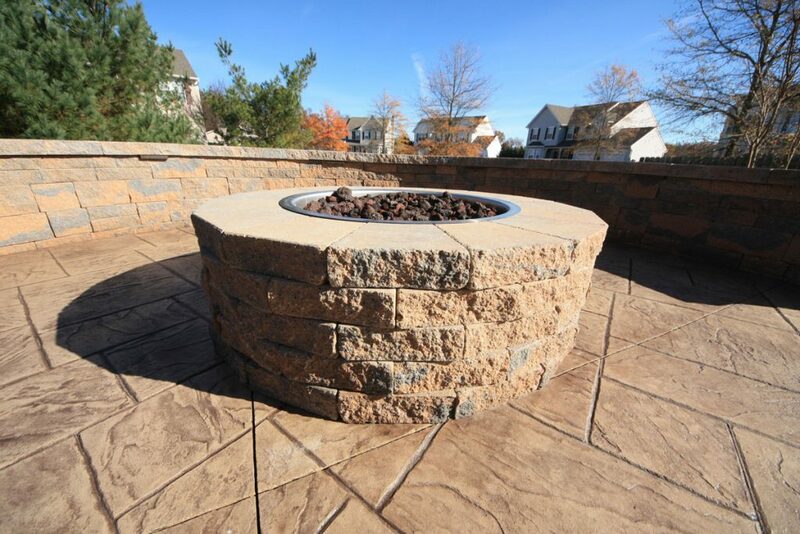 A stone fire pit is usually capped with either a blue stone or granite while the concrete block fire pits are usually capped using the same color block. You can either get a gas powered fire pit or a wood burning fire pit. Besides price, the main differences between the two will be: the way they are lit and the smoke that is generated from burning wood. Many people enjoy the natural ambiance of a wood burning fire pit, the gathering and supplying of the wood, and creating a flame to catch the wood – before the wind blows it out! Others enjoy the ease of turning a switch or just igniting the gas with a simple match throw and the smoke-free environment of the gas powered fire pit. Whatever your preference be, we can design and install the right fire pit for your backyard design. 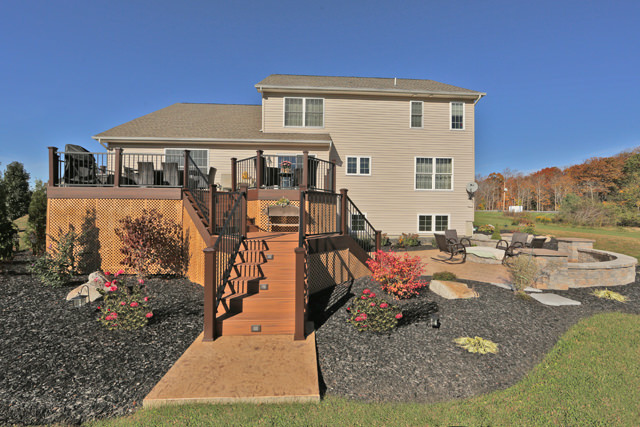 Be sure to check out fire pits, fireplaces, and other outdoor features on our Services Page.